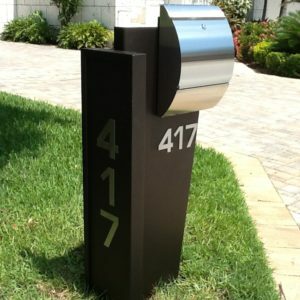 Our most popular mailbox! Designed for surface or in-ground mounting! 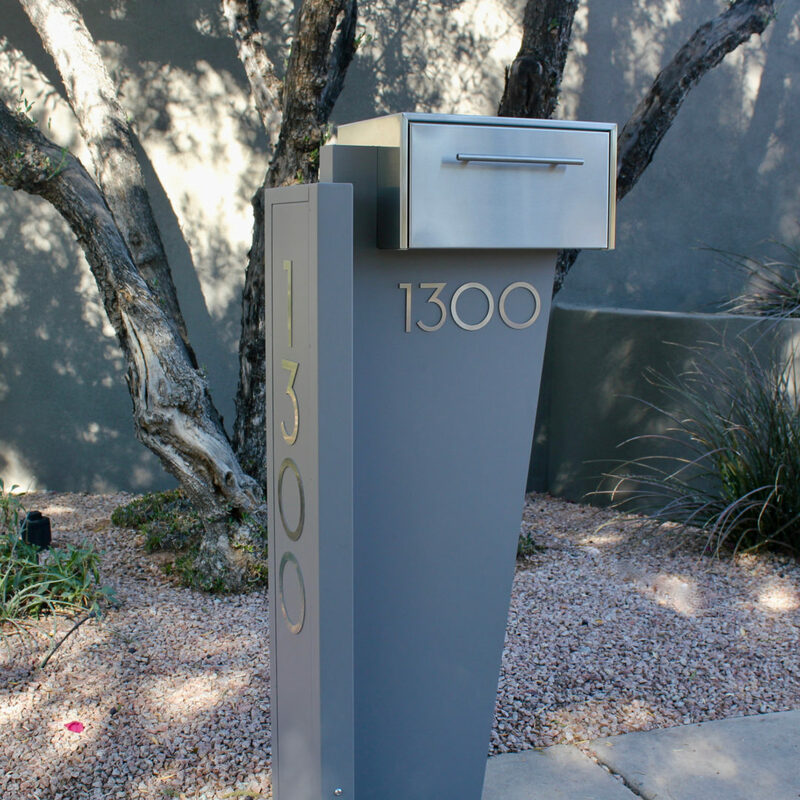 Rectangular powder-coated aluminum stand with stainless Carsten mailbox and plaque. Stand is 12 x 48 x 2. 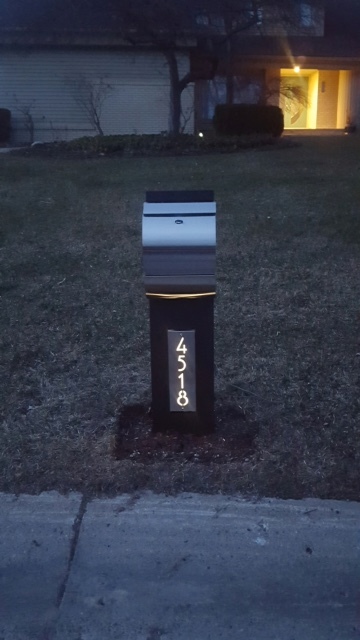 Mailbox is 12 3/8 x 17 x 5. Plaque is 5 x 16 (up to 4 numbers) or 5 x 20 (5 numbers). Stand is available in black, bronze, or gray. Mailbox can be locking or non-locking. You can now add LED backlights for an additional $100. Made in the US! 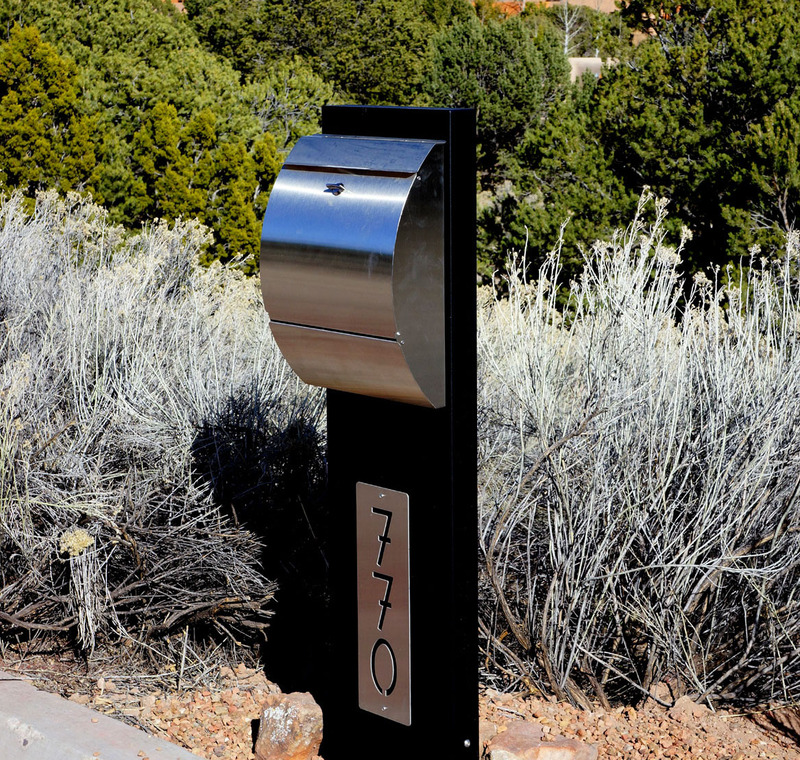 Our most popular mailbox model! 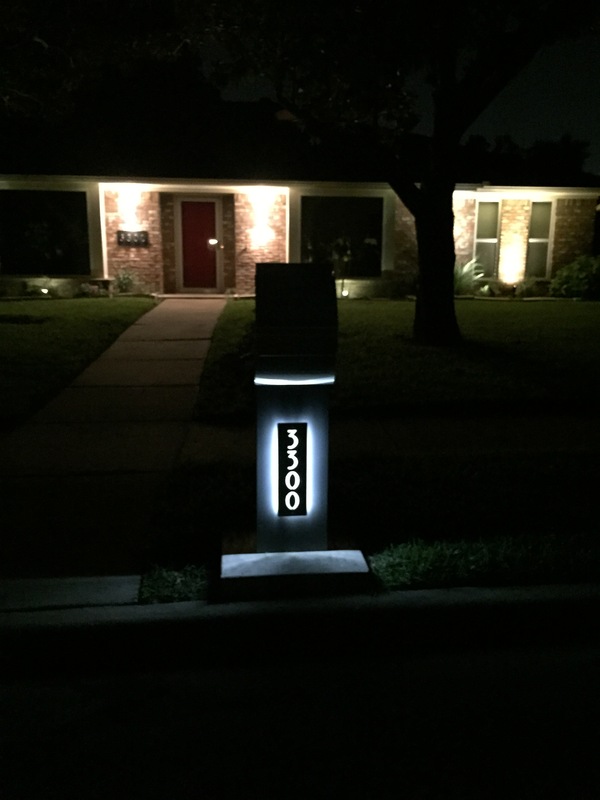 Designed for surface or in-ground mounting! 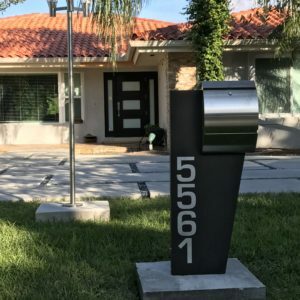 Rectangular powder-coated aluminum stand with stainless Carsten mailbox and plaque. Stand is 12 x 48 x 2. 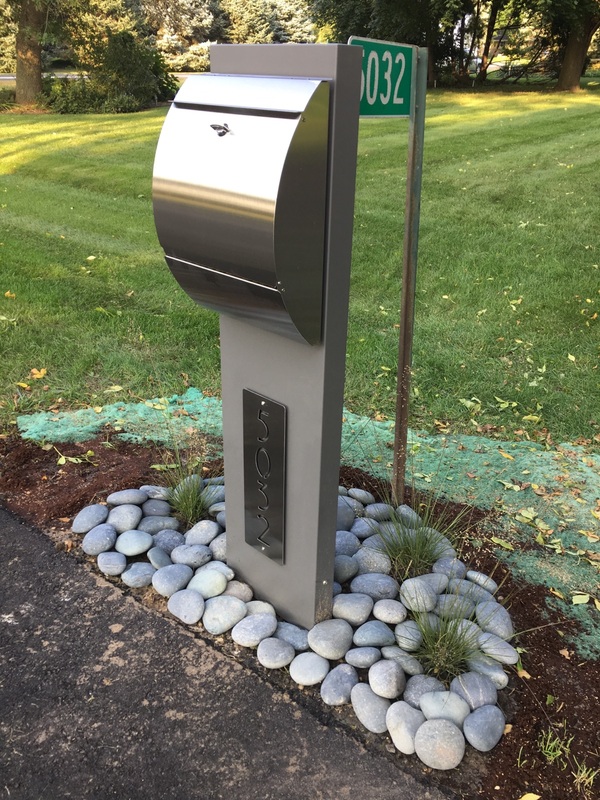 Mailbox is 12 3/8 x 17 x 5. Plaque is 5 x 16 (up to 4 numbers) or 5 x 20 (5 numbers). 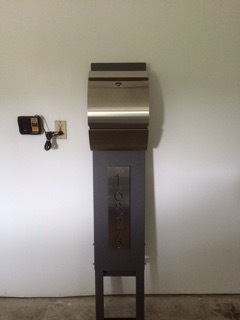 Stand is available in black, bronze, or gray. Mailbox can be locking or non-locking. You can now add LED backlights for an additional $100. Outgoing mail flag also available ($15). Made in the US!